Club Meeting on 8th November discussed the topics including the tactics of fund raising to meet Asian donors needs, as well as the initial thoughts to organising the Rotary Day (inheriting the essence of Charity Night for the past 4 years) to be scheduled in March 2019. Meanwhile, 9 members registered to join the Diwali event in Pullman Hotel by RC Harbourside on 10th November to experience the moments of its cultural features and fund raising in pleasure. 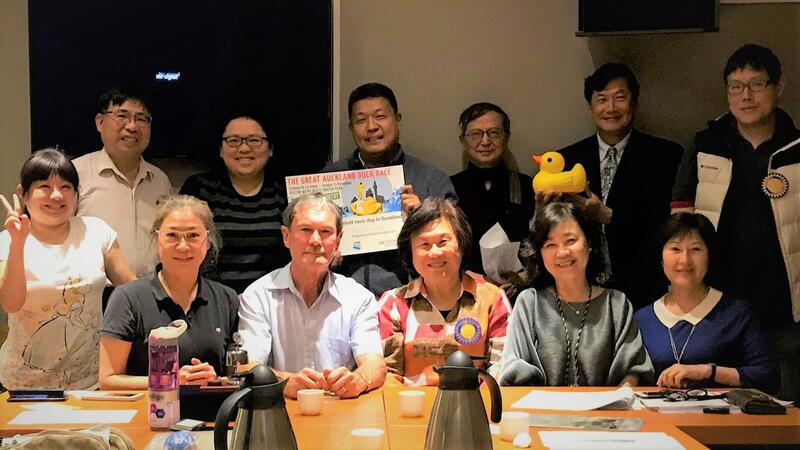 Mr Leigh Marshall from RC Remuera came to visit the meeting and briefed the event of Duck Race, his presentation and charisma apparently swept through all the attendees to make the duck much quacking by running out all the donation vouchers. Awesome!